Our range of products include cantilever air shaft, lugs type air shaft, air shaft, air shaft for three core, air expanding shaft and air expanding shafts. Extra heavy duty rotating assembly. Renewable wear ring or wear plate options. All models can be custom engineered to your most demanding applications. VNCB is for medium duty applications; VNCT is for severe duty applications. Lugs Type Air Shaft offeredcan be made available by us in different configuration choices and meet the demands of fast changeover of un-winder/winder roll. Finding use in core holding applications, these air shafts come with air valve support and supports holding core by expanding of rubber bladder. 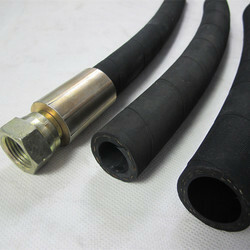 Some of its features include core getting released post removal of air by thump press; common core used is with 3” ID; choice of bigger cores as per the user needs with heavy weight unwind/re-wind rolls; provides working as core-holding device; commonly used for paper/PVC core holding; can be used with safety checks for winding allows for easy replacement of tube. Air Shaft offered comes in quality construction finish and find usage in different industry sectors like general mechanical engineering, industrial engineering, and other purposes. Featuring precision designed finish, these come developed using advanced technology so as to provide them accurate dimension and high tensile strength. Some of its features include coming stringently tested on defined quality parameters; can be made available in different sizes and specifications; suitable for fast changeover of winder/un-winder roll; can be made available with different core options; also provide suitable usage with safety chucks for winding & winding. Air shaft for 3 core For fast changing of core for winding and unwinding air shaft is used most of the converting machines. 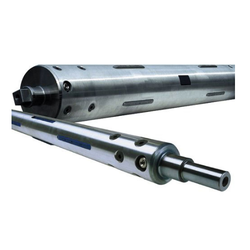 Air Expanding Shaft offered can be made available by us in different configuration choices and provides for faster changeover of un-winder/winder rolls. Belmarkair expanding shaft delivers superior performance for winding application in the widest range of roll handling process. 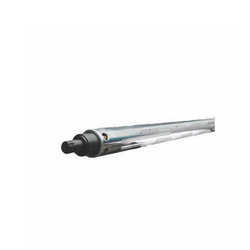 Belmark air expanding shaft is one of the best cores gripping having the widest range from heavy to light duty work. Belmarkair expanding shaft minimizes reel change over time. 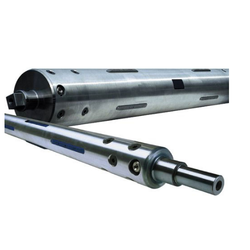 Belmarkair shaft does not lead to any harm at the core surface. 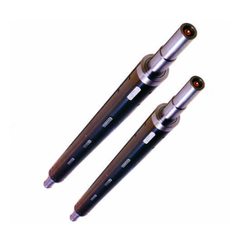 Air Expanding Shaft is our esteemed product which has been crafted keeping in mind all industry specific designs and sizes. Air Expanding Shafts offered provide suitable support as core-holding device Used for paper/PVC core holding, these lugs type air expanding shafts can be used with safety chucks for smooth handling of winding operations. Available with one side shaft for mounting purposes; air valve can locate at face length/shaft end as per the requirements; superior valve fitting and PTFE tape sealing of valve thread to avoid damage of O rings; avoid overfilling of air for avoiding puncture of air bladder special air gun. Rubber Tube for Air Shaft available us in silicone and rubber finish so as to perfectly match up with the end working requirements of the customers.